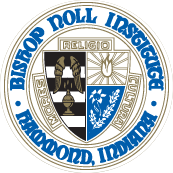 Mr. Mullaney became Bishop Noll’s first president on Jan. 6, 2014, after a career in journalism that included 23 years at The Times of Northwest Indiana and six at The Press-Enterprise in Riverside, Calif. He was The Times’ managing editor for seven years. Mr. Mullaney graduated in 1977 from Bishop Noll and in 1981 from the University of Notre Dame. In 2011, the Notre Dame Club of Northwest Indiana presented him with its Award of the Year for his contributions in the community. Mr. Mullaney currently serves on the board of directors for the Carmelite Home of St Joseph in East Chicago. Previously he served six years on the board of directors for Lake Area United Way and was in his third term on Bishop Noll’s volunteer board when he stepped off to fill the position of school president. 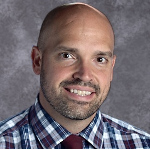 Mr. Mullaney also is active in his parish, Our Lady of Grace in Highland, and has been involved as a coach, board member and officer in local youth sports organizations, including the diocesan CYO program, Woodmar Youth Baseball and Hammond Optimist Youth Sports. Mr. Mullaney and his wife, Kelly, have six children, all of whom are Bishop Noll graduates. 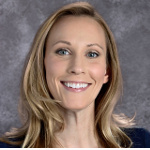 Mrs. Pastrick is a 2001 BNI graduate, former Noll teacher, coach and admissions coordinator. She spent four-and-a-half years as principal at St. Casimir School in North Hammond before returning to Noll. An Indiana University graduate with bachelor’s and master’s degrees in education and educational leadership, Pastrick and her husband, Michael, also a BNI alumnus, reside in Munster with their three children. 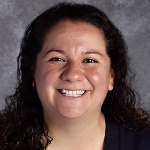 Ms. Omelanczuk earned her bachelor of arts degree in Spanish and her bachelor of science degree in psychology from Loyola University in Chicago. She also has a master's degree in education. Ms. Omelanczuk is also teaching Spanish 3 and 4 DC (dual credit). Ms. O'Neill joined BNI as Director of Institutional Advancement in 2011. Prior to joining BNI, Ms. O'Neill spent 14 years with Marshall Field's as a buyer and manager of executive recruiting and placement. She has also worked for FABSCO Corp., a family run manufacturing business. 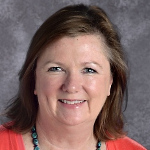 Ms. O'Neill earned her bachelor of arts degree from Mundelein College/ Loyola University in Chicago. Ms. Nagdeman joined BNI as Director of Finance in 2005. She earned a bachelor of science degree in accounting and human resources from Purdue University. Mr. Stur is a graduate of BNI, Class of 1998. He joins the BNI administrative team after two years as director of communications and development for Catholic Charities in the Diocese of Gary. A graduate of Marquette University with a B.A. in public relations and a minor in marketing, Stur spent 10 years in the professional sports industry, formulating and executing successful P.R. and marketing campaigns. 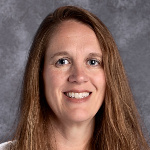 Mrs. Renwald was named BNI's Technology Instructional Coach in 2017. In addition, she is the English Department chair and teaches English and journalism classes. She earned her bachelor of arts degree in English writing and history at St. Mary's College of Notre Dame and her education degree from Purdue University. Ms. Bolakowski (better known as Miss B) is the Campus Minister. 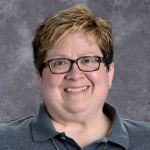 She earned her bachelor of arts degree in English education from Ball State University, a master’s degree in education from Indiana Wesleyan University, and a certificate in Lay Ecclesial Ministry from the Diocese of Gary and Catholic Theological Union. Miss B is in charge of planning and facilitating student and staff ministry experiences. She sponsors the Student Ministry Team. Ms. Krolak taught English for 20 years and coached for 12 prior to becoming Athletic Director at Bishop Noll in 2016. She obtained her bachelor's degree in English from Calumet College, a master's degree in Educational Leadership from Indiana University and has her administration license. Ms. Krolak previously taught English and coached at Noll from 2000 to 2003.